While a majority of my recent trip to Vermont with Ski Vermont was all about learning to ski and drinking beer, it was also about the food! 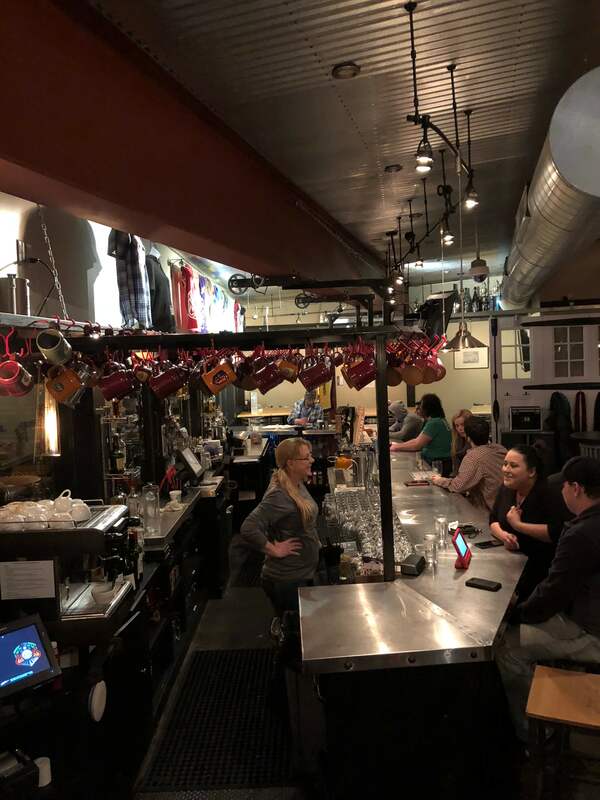 With a focus on a fresh and local eats, the trip included many delicious experiences at some of Vermont’s best restaurants with one of my favorites being our visit to Whetstone Station. 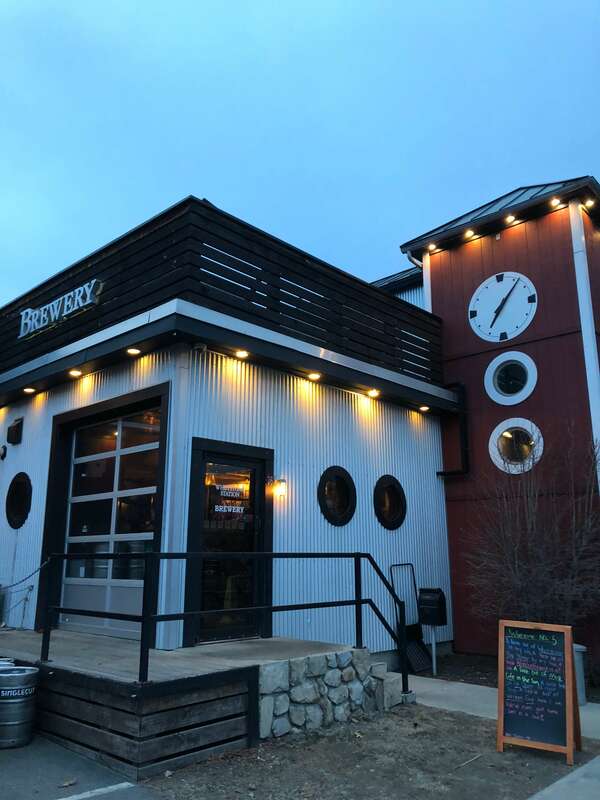 Located in Brattleboro, Vermont at the base of downtown, Whetstone Station offers quite a diverse menu, featuring soups, salads, burgers, sandwiches, tons of options for sharing (dubbed as selfies and sharezies on their menu), and the most incredible homemade dipping sauces. During our visit, we tried a few of their classic dishes that was paired with a selection of beers made at their on-site brewery. 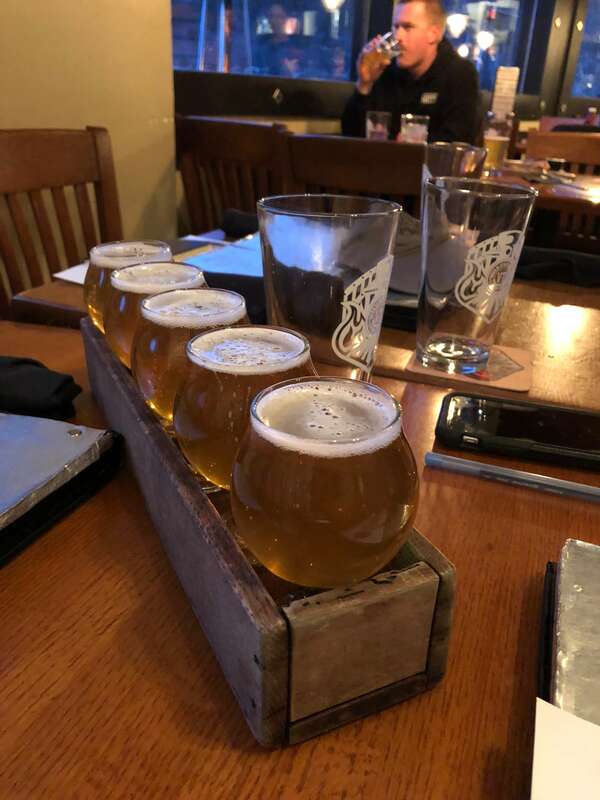 At their brewery, they produce small, handcrafted batches of beer, including their Flagship Whetstoner Session IPA and Big ‘Stoner Vermont Double IPA. With a mission to “brew differently balancing creativity and science to craft,” all of the other beers are experimental or available in limited batches. 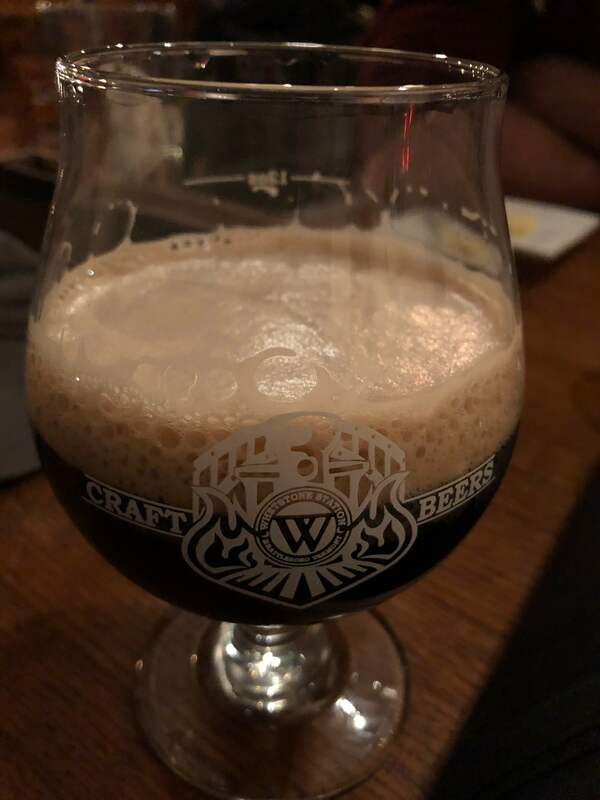 Some of their current beers include Mug Life – Amber Ale, Updog – Stout, Off the Rails – Black IPA and seasonal options like Bumpy Ryed – Rye IPA and Shmoke and a Pancake – Maple Smoked Brown Ale and rare specialities like Ruby on Rails – Radler. 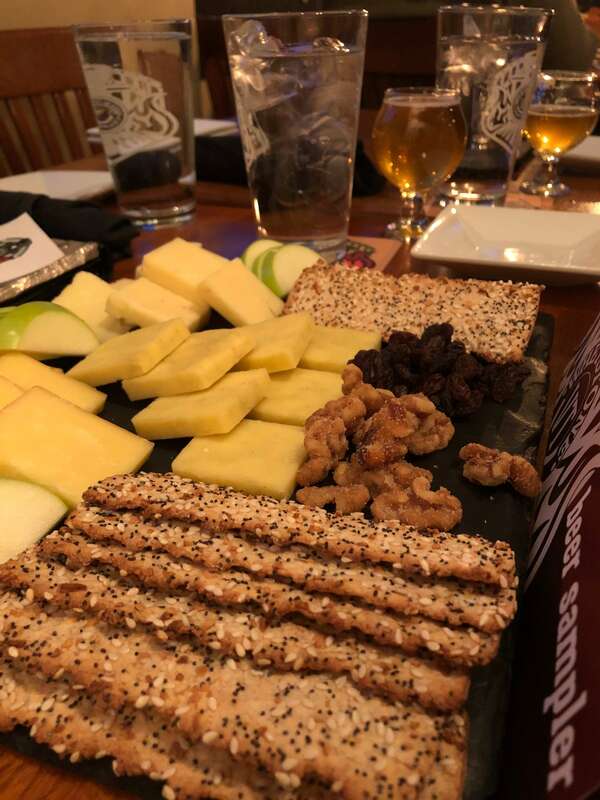 To start, we tried their Grafton Cheese Plate, featuring three different cheeses made from locally crafted grafton cheese, maple smoked cheese and sage cheddar, two-year aged cheddar that also came with some crackers, walnuts, and apples. This was paired with their Whetstoner Session IPA, a light and super drinkable beer. Next up with the their famous marinated Sirloin Tips and Mini Triple Blended Burgers with Vermont cheddar. 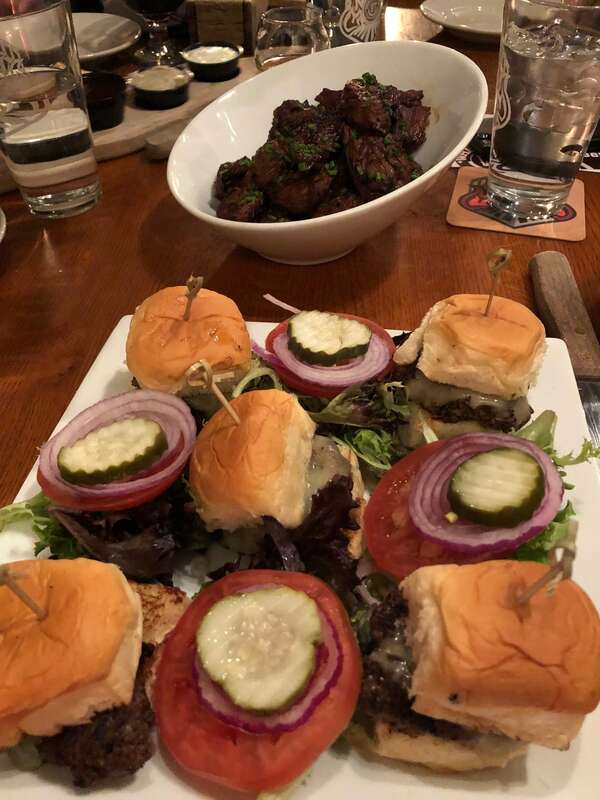 I couldn’t get enough of these appetizers, especially the juicy, flavorful beef tips that are marinated overnight in their secret sauce. They also brought out the dipping sauces (you can buy them all together or separately) where we could dip the beef tips and burgers (or really whatever we wanted) in a variety of their house made sauces, such as the black pepper, aioli, maple bacon chive, chiplotle ranch aioli, (my favorite! ), peach bourbon molasses, smoked moody blue, and the always flavorful teriyaki sauce. For our main course, we had the option to try the Buddha Bowl, Blacknened Beer Brined Chicken, and “Not Your Mamas” Meatloaf. 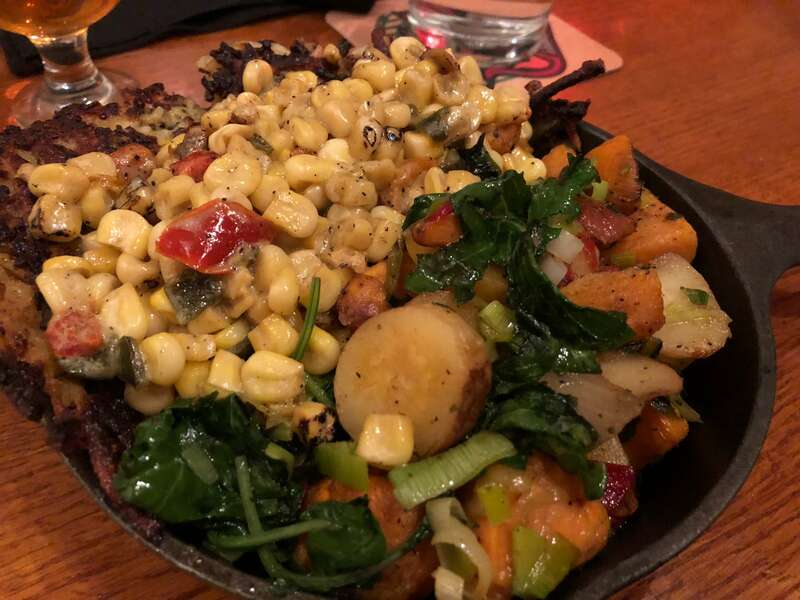 I picked the Buddha Bowl, a combination of quinoa and potato hash cakes topped with southern creamed corn, roasted root vegetables, sauteed leeks and baby kale that was paired with their Big Stoner Vermont Double IPA. After having such meat-heavy appetizers, this dish hit the spot as the ultimate veggie comfort food. Another favorite at our table was the Blackened Chicken, a hybrid dish featuring cajun cream tortellini, sauteed veggies, and chicken. 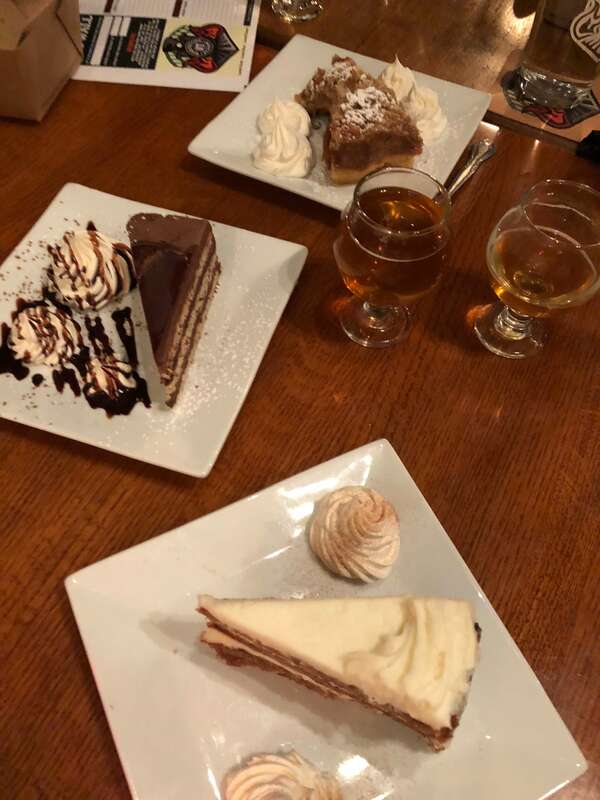 And while I was full, I was still excited to try their desserts, which included a chocolate cake, Irish cream cheesecake, apple pit and carrot cake. 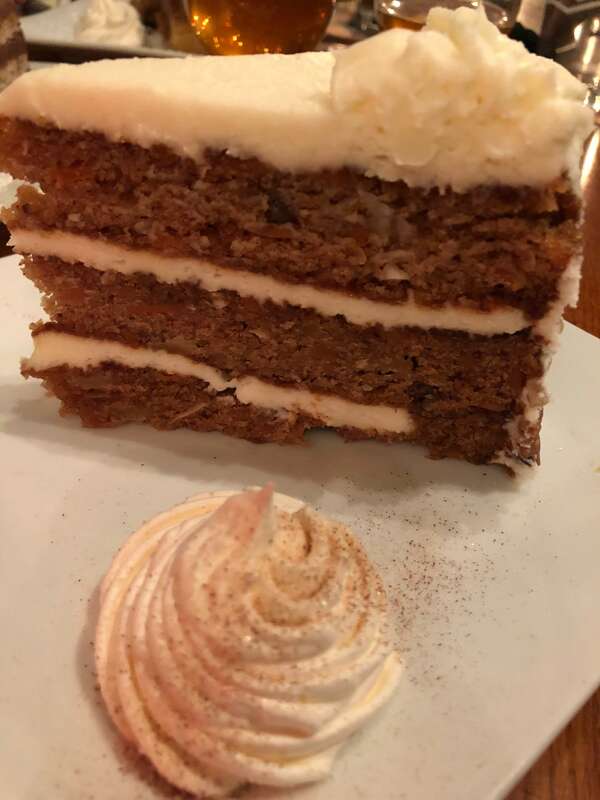 Paired with their Updog Stout, the combination of sweet treats, especially the carrot cake, was incredible with the darker beer. 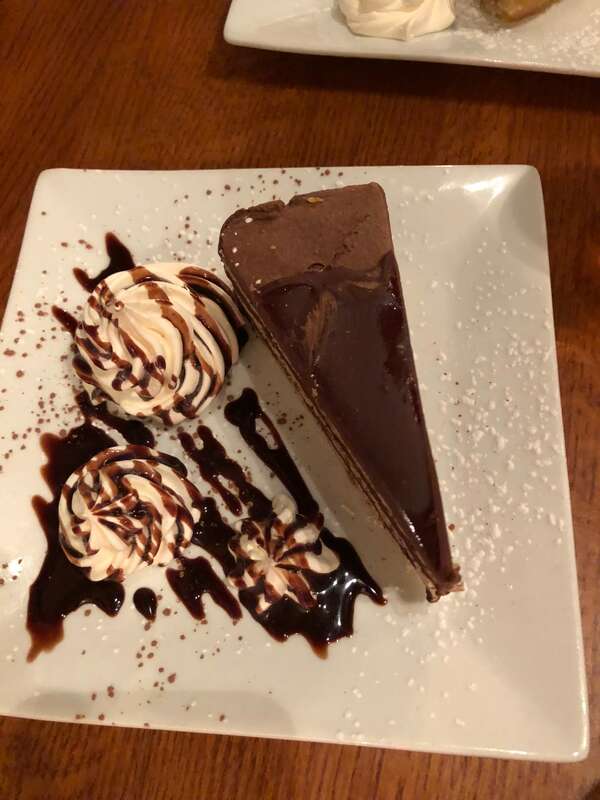 While we attended at night, the restaurant also sits right on the Connecticut River where you can enjoy incredible views while enjoying their Vermont comfort food. They also have a fun Mug Club where you can learn more about beers by trying out brews you might not normally try. This includes a pledge to try out 99 different beers over the course of the year, which is recorded on an organized place card. At the completion of the club, you can receive your own personalized mug, discounts, free dinner, priority seating, of course, the push to get out of your comfort zone and try something new. 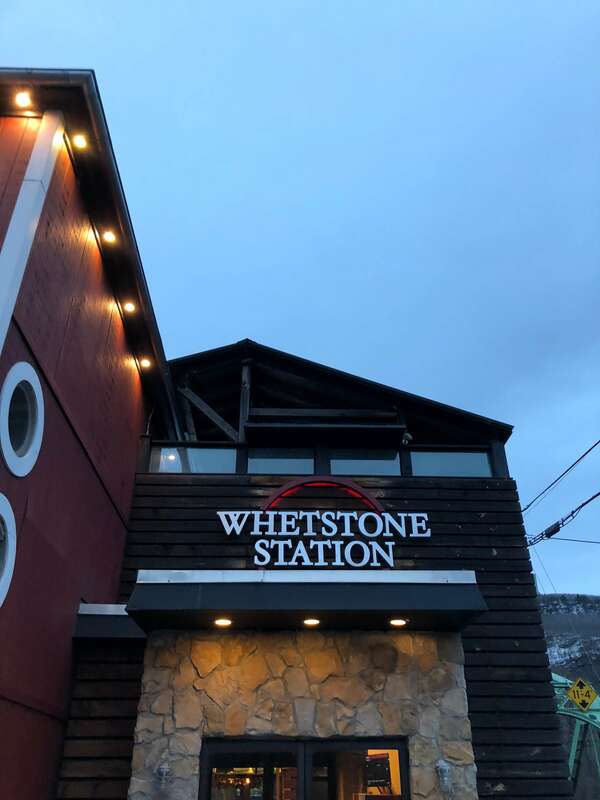 With comforting food, craft beers, and an awesome staff, Whetson Station is the perfect stop for lunch or dinner when you’re on your way to ski or if you’re exploring Brattleboro or the surrounding area. And when you do make the trip, you’re going to want to get the sirloin tips–trust me! I was not paid for this post. I was provided with a complimentary dinner for the purposes of this review.